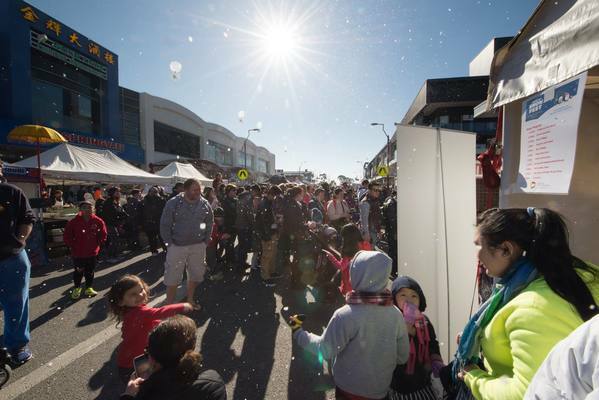 MORE than 30,000 people flocked to Springvale Snow Fest – almost 10,000 above predicted numbers. But there’s room for improvement, Mayor Sean O’Reilly said at last Monday night’s City of Greater Dandenong council meeting. He said festival-goer feedback was that the snow trucked in from Mt Bulla didn’t meet their expectations. “If we’re advertising a snow fest, the snow’s got to be good,” he said. Councillor O’Reilly suggested selling timeslots rather than entry tokens next year to cut down on queuing. Community services director Mark Doubleday said he’d look into the issue. “Queuing at an event where so many children attend is to be avoided,” he said.